This may be the only time I ever agree with you 100% on anything, but I do. Donald Trump is disgusting, and the fact that the majority of the GOP has resigned themselves to his idiocy makes me insane. Good article- very well written. Regarding the idea that Trump might shrink government, consider this…..
Again, I actually agree 100%. This is getting scary. Remember, I’m an ex-conservative. I have respect and appreciation for that perspective. I now consider myself to be a moderate – some combination of liberalism, libertarianism and conservatism. For a wide array of reasons, this next line will inspire shock, frustration or mockery from many readers. According to a long list of non-partisan fact checking organizations that get criticized for being both too liberal and too conservative, Clinton is among the most honest politicians in America today. Given the decades of intense negative publicity about her, whether grounded in reality or not, one might say that the standard for truthfulness in this case hovers much too low. The evidence from a very wide range of media, academics and independent analysts show, however, that she tells the truth more consistently than a large percentage of her peers. This does not excuse the many instances in which she told us outright false information or half-truths. And maybe this collective analysis further reveals how morally murky is the space inhabited by powerful people in America (or in any country, to various degrees). Thank you for that feedback. I had been writing, researching and dialoguing online and in person about Trump since his campaign began in June 2015. I kept adding resource links and mini articles that I had written and posted on Facebook, Google Plus and elsewhere to a MS Word document and now it’s 38 pages long. 🙂 So, I’m drawing from that to make a multi-part series during the next week or so. I’ve put together a similar offering regarding the Obama presidency, though I procrastinated on uploading the sections beyond Part 1: https://persuademepolitics.wordpress.com/2015/11/05/has-obama-been-a-successful-president-part-1. Check it out, if interested. Well done account of the tRump. This guy isn’t even tolerable as a rich, entitled, smug, spoiled, narsisstic, jackass of a celebrity. Absolutely dangerous as a president. Donald Trump would quickly become Adolf Trump. Or Donald Hussein. Right after he single handedly defeats ISIS and builds a wall. 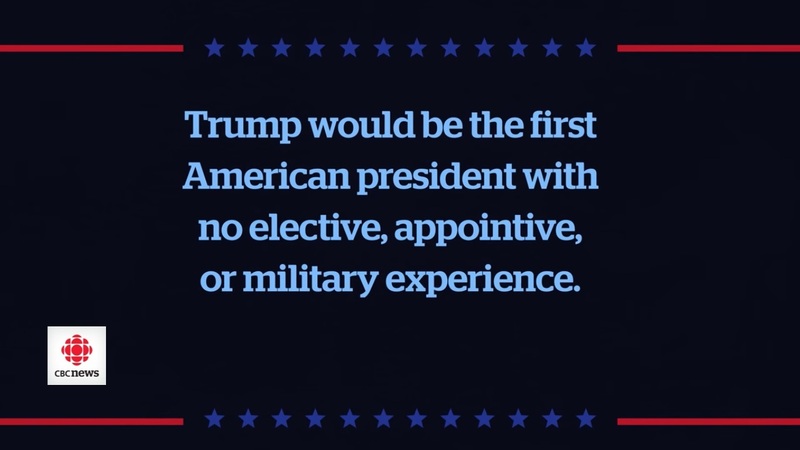 Trump is certainly a terrible choice for a government or business leadership position. He seems even worse as a potential marriage partner. And then he could build a huge wrestling arena around the U.S. and proclaim himself “King of the Ring” ! LOL ! You have definitely shown Donald’s unfitness as a Presidential candidate. Will you be writing a similarly critical post on Clinton? Since each article, or this case article series (on Trump), takes an enormous amount of time to develop, I have to choose which issues that I’m most passionate about. I focus on the information and ideas that I think are the most important to get out to the public. Later on, I often edit and add more commentary. Many times, other people have brought my attention to vital things that I unknowingly left out and errors in my content. I try hard to be honest, teachable, civil, engaging and fair in my writing. I regularly submit articles to newspapers, as I’m trying to develop this into a career. As I said in the article above, I certainly think Clinton has many problems and character flaws. I don’t think she and Trump are anywhere near the same category of danger and concern, however. Clinton will run the country like a typical Democrat, which the Republican Party can recover from. Trump has already done serious damage to the GOP, disrupted the American tradition of having presidential candidates who act like adults and civil people and added a tremendous stain to much of our reputation internationally. As I will include in a piece in the near future on Trump, he’s enormously unpopular in nearly all advanced countries, as much evidence reveals. For example, a YouGov poll in April 2016 of more than 20,000 citizens from the top 20 GDP countries showed only 1 was not overwhelmingly in support of Clinton. It’s the only one out of that group that is run by a dictator: Russia. Thank you for doing so much research to back your writing. 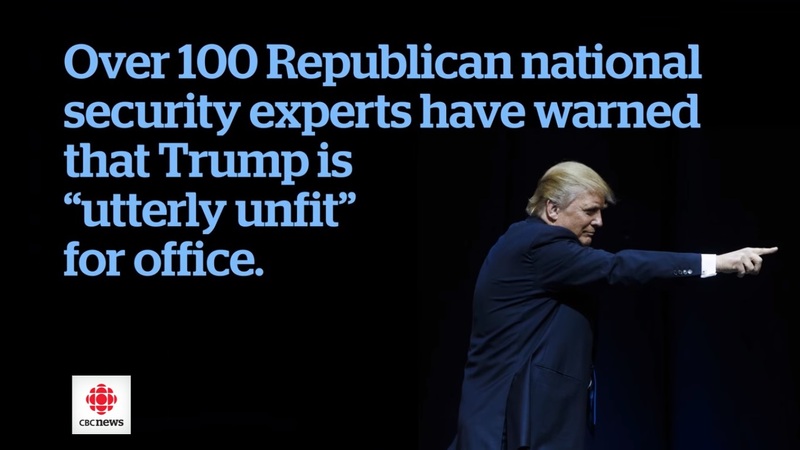 I agree that Trump is brash, and unfit. However, I believe she is unfit as well. I won’t be voting for weither. But I will be voting. Unfortunately, I don’t think this is an election where a vote for a third party will benefit anyone. There’s too much at stake. Clinton will run the country like a typical Democrat, which the Republicans can recover from. Trump will continue to destroy his own party, disrupt and discredit our institutions, dumb down all public discourse, severely harm the economy, ruin international relations and on and on. He leads by impulse, fear and narcissism. Wow. The Politifact truth checker was really interesting. It proved what I’ve thought all along about Hillary and didn’t have the data to back up. It really bothers me that truth is such a rare commodity these days. Most people are terribly uninformed. Part of it is their own blindness and unwillingness to face facts, yes, but a lot of it is that the truth is so hard to find in the first place – even on the news. Politifact has been criticized both by liberals like Rachel Maddow for being too conservative and by the Republican National Committee for being too liberal. To the degree that this fact checking organization’s conclusions are correct, I think it’s a badge of honor for the criticism from both sides to be that they think the bias exists in the opposite political corner. Either way, I’ve studied Politifact evaluations for years and can say that they’re very fair. I’ve seen first hand that their evaluations line up very closely with the vast majority of a dozen or so other fact checking organizations, FactCheck.org as one example. Consider as well that regarding what they’ve rated as “True”, “Mostly True” and “Half True”, is at a very similar level when applied to Republican leaders like Mitt Romney (15%, 16%, 28%) and John Kasich (25%, 26%, 16%) as with Hillary Clinton (24%, 27%, 21%), Bernie Sanders (15%, 36%, 19%) and Barack Obama (21%, 27%, 27%). Even though Kasich is a moderate compared to the other 17 candidates in his party for the 2016 election, he’s extreme on many points in contrast to Reagan and especially to the moderate Republicans of the 1950-70s. Also, I regularly post articles that I find through research at twitter.com/rhodesianpoet. Largely in response to what I considered to be severe dangers inherent in a possible Trump presidency and what his growing popularity revealed about the disgraceful condition much of of the American psyche was voluntarily mired within, I created about 50 memes with images, quotes and charts to share there and at instagram.com/rhodesianpoet and plus.google.com/+AndyRhodes1. I keep finding more and more information that contradicts what most people think are facts about our political situation at home and internationally. On that line of thought, I’d love to hear what you think of my other articles. Thanks for visiting. Thoroughly documented. Well written. Too bad so many people are tuned in only to Fox. Thanks! If interested, here’s about 10 more articles that I’ve written on Trump: persuademepolitics.com.